Absolut, one of the biggest success stories of the last century, has had some problems coming to terms with the C21st. It has been overtaken by other brands who’ve become more culturally relevant. Under the ownership of Pernod-Ricard, the brand is staging a recovery on various fronts. One key goal for Pernod is to capitalize on the global growth in the premium spirits category and claim a piece for Absolut. This isn’t a new space for the brand, but the strategy is different. 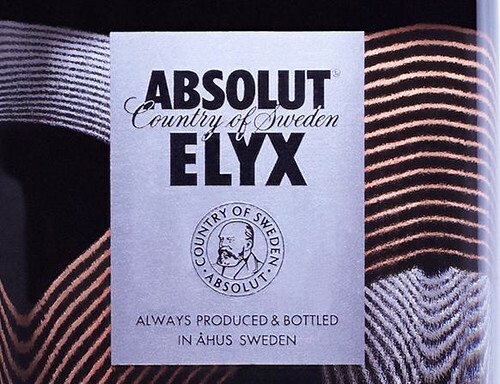 The past effort was to create a sub-brand, Level that was branded as being created by Absolut, now the strategy has reversed and Pernod are leveraging the Absolut brand for the new premium brand, Absolut Elyx launched last year. These are a great set of tangible properties that seemingly make sense for the spirits buyer who carries around a rational check list. The problem is that most spirits buyers are buying on intangibles and while Pernod-Ricard wants to grow Absolut, the brand’s currently ill-defined image could mitigate against the desired success of this premium line.